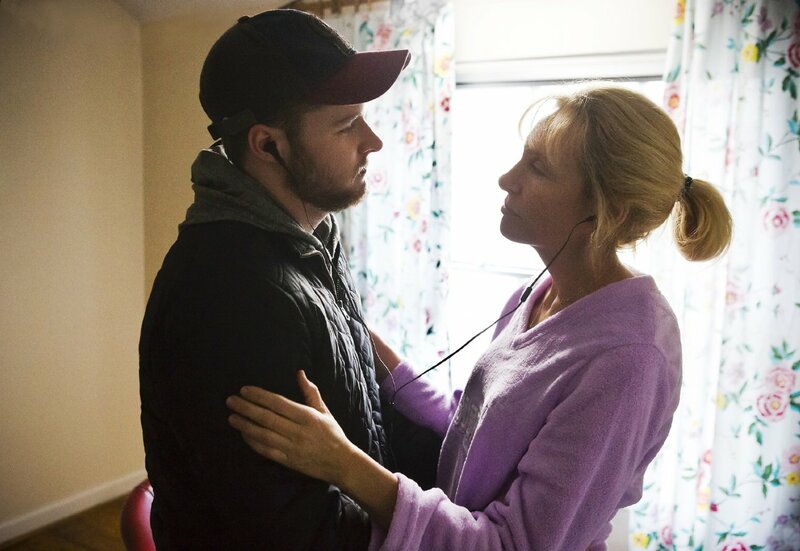 Having recently seen the very fine American-Irish actor Jack Reynor in Sing Street, TrustMovies was fired up to view him in another Irish film, GLASSLAND, alongside one of TM's favorite actresses, Toni Collette, and another good performer, Will Poulter. As written and directed by a fellow named Gerard Barrett, the movie is nothing if not quiet and respectful. 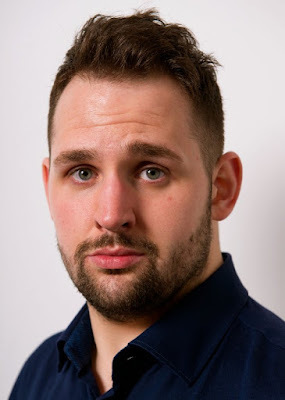 This is particularly surprising, however, considering that Barrett's film (the movie-maker is shown below) is all about alcohol addiction, dysfunctional family dynamics and heavy duty criminal activity. Unless I missed something along the way, however, the last of these three does not even suggest itself until nearly the end of the film. These heavy-duty subjects, as handled by the movies, often result in melodrama -- especially when they're mixed together, as here. And yet Glassland, which refers I am guessing to a world in which everything around you is ripe for breakage, seems anything but melodramatic because its writer/director refuses to go that route. Instead he subdues everything so that even major plot points reveal themselves slowly via quietude and indirection. For anyone beaten down by Hollywood's heavy hand, not to mention those very long running times, this may seem like a kind of Nirvana (the movie lasts but 93 minutes). 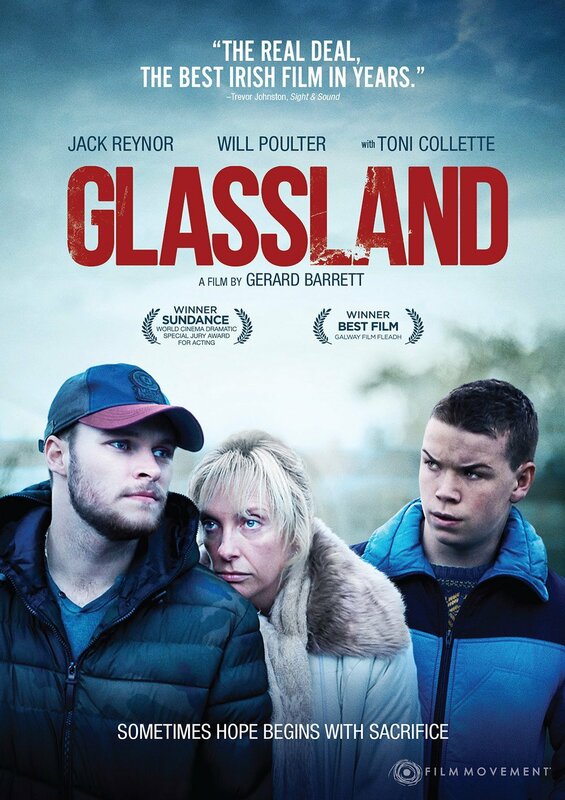 Glassland is also a prime example of what some of us are fond of calling "British miserablism," Irish-style. It offers up everything from our current and horrible economic times to a very popular means -- alcohol -- to circumvent same, and even, maybe especially, a handicapped child. Ms Collette (above) and Mr. Reynor (below) play alcoholic mother and hard-working son in a family where dad has gone missing and another, younger son with Down Syndrome resides in an institution. Fun, huh? Determined to pull mom out of her abyss, good son does all his can -- which finally includes that aforementioned criminal activity. What it is and where and who it comes from is part of the movie's final surprise package -- the point being, I expect, that when we have little to nothing on our plate, we must do whatever it takes to obtain what we want. I'll buy that. But I don't buy Glassland, at least not fully. 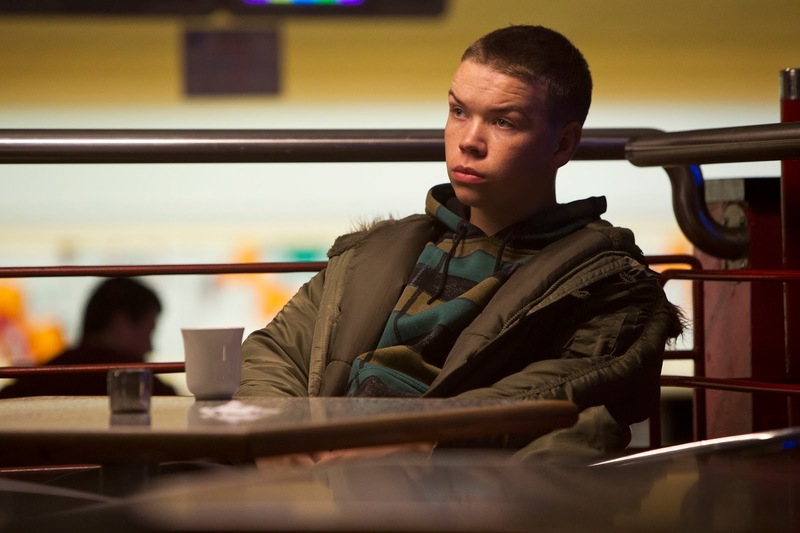 The movie's sub-plot about Reynor's best pal (Mr. Poulter, above) and his problems could be excised in full and the film would not miss it in the least. In fact, we might have used that time concentrating on more and better specifics about the characters played by Collette and Reynor. Performances are all fine, so far as they go. But with more to work from, imagine what the actors might have given us. I'm all for subtlety and indirection, which Glassland offers in spades. But it also needs more content. Otherwise what's there begins to resemble, dare I say it, cliché. 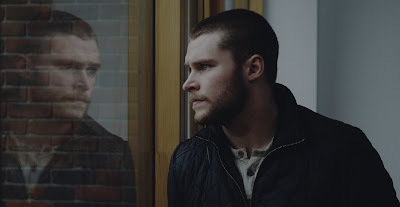 From Film Movement, after a very limited theatrical run this winter, Glassland arrived on DVD this past Tuesday, May 3 -- for purchase and/or rental.